Today I am sharing another Orange Squash Nail Tint from the Lakme Absolute Pop Tints Collection. 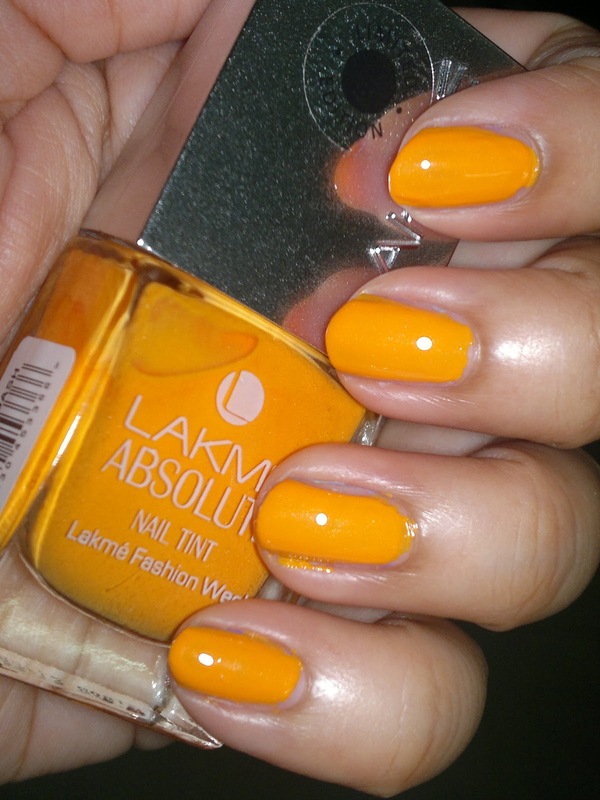 The Orange Squash Nail Tint is a gorgeous citrusy orange, perfect for summers. Price: INR 250 for 10 ml of the product. Packaging is gorgeous with a silver cap and square bottom bottle. 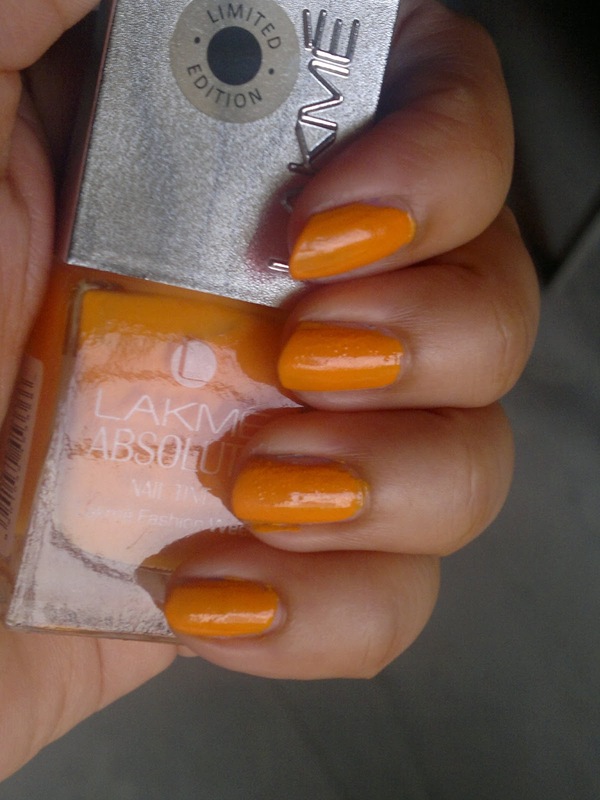 I am loving this citrusy color on my nails day in and day out. Above you see two coats on my nails, the pigmentation is good and it dries faster compared to Purple Rain and Aquamarine. Consistency is a little thicker bending towards creme but easy and smooth application. Overall, a great and peppy color for summers. Do you like citrusy nail paints or conventional nail colors? 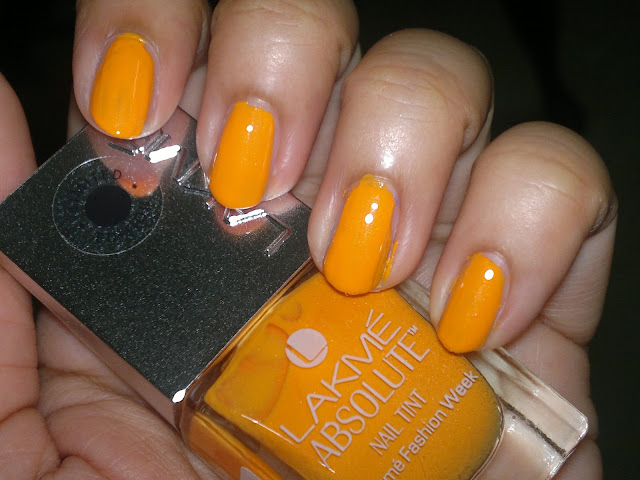 Have you tried the Lakme Pop Tints Collection? Would love to hear your experiences, do share!